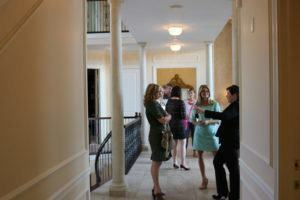 Beauty, convenience and golf… What more could you dream of when deciding to make Fort Worth your home. Known for having some of the best golf courses in Texas due to its rolling hills, lush trees, scenic vistas, wildlife roaming freely, beautiful homes, and excellent weather conditions, the Fort Worth area continues to be a destination that people are drawn to. One of the most stunning areas just 20 minutes outside Fort Worth is Burleson where you can find the Southern Oaks Golf Club. Their brochure states that this is a “golf club designed to embody the spirit and tradition of the game.” The course was designed by PGA champion Mark Brooks and opened in 1999. It is said that Brooks built the course to force golfers to focus on strategy, shot making, and intelligent club selection. Most of the holes on the front nine are straight ahead with the pin in view and no hidden hazards. When golfers pick the right tee box and do what it takes to avoid the fairway bunkers, they can score well on the front nine. The back nine is more like a links course with wider, more open fairways, homes, plenty of pot bunkers, and lots of mounding. The greens will test your approach, shot making and putting skills. Another renowned course is actually owned and operated by the City of Burleson. The course, Hidden Creek, is a fun and challenging 18 holes of golf. At 6,829 yards from the tips and with a slope of 139 and rating of 73.8, it is no wonder that for two years running, the Ft. Worth Business Press rated Hidden Creek the “Toughest Public Golf Course” in the Dallas/Ft. Worth metroplex area. In addition, the Dallas Business Journal has voted Hidden Creek in the “Top Five Public Golf Courses in the State.” The greens are about average size, with some slope and undulation. The tree-lined fairways are a little rough and provide lots of roll with some mounding, berms, and contour or slope. Golfers will encounter both fairway and greenside bunkers with pretty good sand and some water comes into play on a few holes. 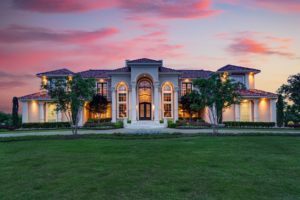 If Fort Worth is where you want to work, and golf is your game, but want a suburban lifestyle, take a look at a beautiful home named Casa Incantata. 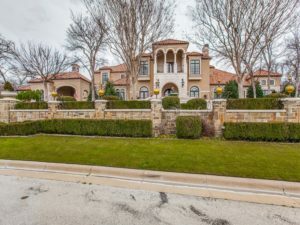 Nestled on 2.7 acres in Burleson, Texas, just 20 minutes from Fort Worth and an hour from Dallas, this Mediterranean style home offers a private retreat surrounded by meticulously manicured landscaping. This majestic estate provides Tuscan elegance throughout complete with its very own guest casita/cabana and freeform salt-water pool. 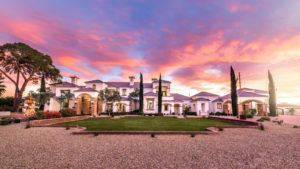 Casa Incantata will be offered at a luxury no-reserve auction on June 30, 2018, with Supreme Auctions in cooperation with Cliff Cline Century 21 A-One Realty. 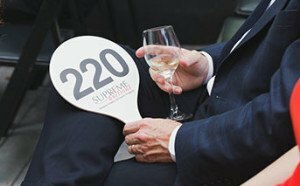 To learn more, contact Supreme Auctions at (866) 929-2243 or visit SupremeAuctions.com.